Well, it’s hard to believe 2018 is almost over. It has been a big year for ArcGIS Online, and for the ArcGIS Living Atlas of the World as well. As the year comes to a close, we wanted to reflect on some of the Living Atlas highlights from 2018 that you may have missed. Throughout the year, Esri released several dozen updates to our content in the Living Atlas. Below is a summary of our most significant additions and updates in 2018. If you can commit this list to memory (okay, at least vaguely recall and bookmark for future reference), you can impress your colleagues with your Living Atlas knowledge in the coming year. Perhaps our most active content in 2018 was with the Esri Vector Basemaps. There were 18 global updates of the Esri Vector Basemaps over the course of the year (about every 3 weeks), with several additions and enhancements included among them. Localization: over the year, support was added for 12 languages (in addition to English). These include: Arabic, Chinese (Simplified), Chinese (Traditional), French, German, Italian, Japanese, Korean, Polish, Portuguese (Brazilian), Russian, and Spanish. Users of ArcGIS Online with these language preferences can now access and use these localized versions of the vector basemaps in their basemap gallery. New Styles: adding to the several map styles previously released, we introduced a couple new styles this year, including Charted Territory and Oceans Basemap. Style Editor: one of the most useful features of vector basemaps is that the map style can be customized. To make this easier, Esri introduced the ArcGIS Vector Tile Style Editor app, which enables you to edit on of the Esri map styles to meet your specific needs. To take full advantage of these and other data updates, make sure you update your maps to the latest version of the Esri Vector basemaps. If you’d like to publish these vector basemaps on your private network using your ArcGIS Enterprise software, they are also now available in the Data Appliance for ArcGIS. 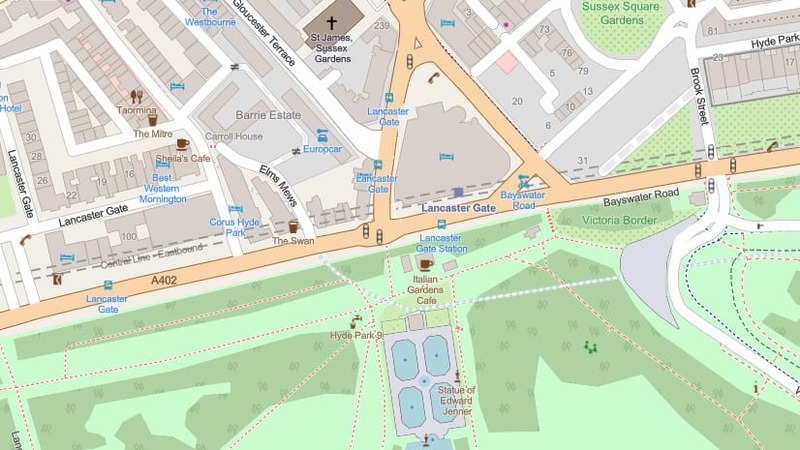 In addition to the Esri Vector Basemaps, Esri introduced a new OpenStreetMap Vector Basemap. OpenStreetMap (OSM) is an open, collaborative project to build a free editable map of the world. The new vector basemap is built entirely using OSM data and cartography and, best of all, is provided freely for any ArcGIS user or web developer to include in their map or app! The OSM vector basemap is currently in beta release. Over the past five years, Esri has updated the World Imagery map with fresher or more detailed imagery for most of the world on multiple occasions. While the latest imagery is preferred for most use cases, the earlier imagery still has a lot of value for many users. In response to many requests, Esri introduced Wayback Imagery to provide access to earlier releases of the World Imagery map. More recently, Esri updated Wayback Imagery to include metadata and to end the beta release. You can use the Wayback app to create custom web maps using with your preferred version of imagery. 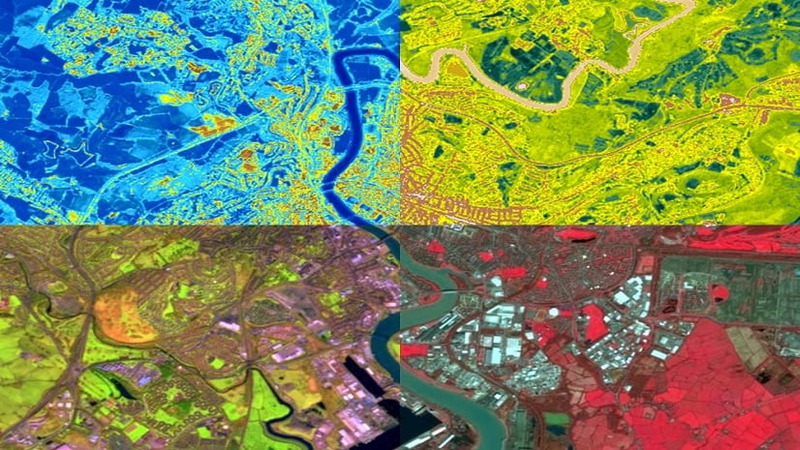 In addition to the imagery basemaps, the Living Atlas also provides access to multi-spectral, multi-temporal imagery (such as Landsat 8 and NAIP) that enable you to get additional information from imagery beyond what can be seen by the naked eye. This year, that collection was expanded to include Sentinel-2 imagery. The Sentinel-2 imagery increases both the spatial resolution (ranging from 10-60 meters) and temporal resolution (revisiting places every 5-7 days) for the global image layers that are now available in the Living Atlas. For several years, Esri has had an active Community Maps Program designed to enhance Esri map offerings in the Living Atlas with user contributed data. In 2018, Community Maps expanded to include more data and support more offerings than ever. While contributions to our basemaps and imagery maps have continued to grow, we have expanded the program to now also accept and integrate contributions for elevation data and address data. This data is now being used to enrich our collection of World Elevation services as well as our World Geocoding Service. For the past five years, the Living Atlas has provided access to a rich set of global demographics with basic demographics for over 130 countries and advanced demographics for the United States, Canada, Germany, Japan, and other countries. As part of ArcGIS Online updates this year (i.e. April, June, September, and December), we published updates for more countries than ever, and introduced new data for the United States and Canada. In addition, the team published a new 2016 World Population Estimate with updated data and other improvements. Most recently, the Living Atlas was updated to include a new set of feature layers containing the latest American Community Survey (ACS) five-year estimates for the United States. With the growth of 3D mapping and predictive modeling, elevation data has become an essential component of the ArcGIS platform. To support these types of use cases, new sources of detailed elevation data are being created. In the past year, Esri’s collection of World Elevation services have been enhanced with user data (as described above) as well as new commercial data. Most notably, the services were enhanced with more detailed global elevation data from Airbus Defence and Space, beginning with our elevation layers and tools and later with our 3D elevation services. In addition, we published high resolution polar elevation data for both the Arctic and Antarctic regions. One of key features of the Living Atlas is that it truly is “living” – with new maps being added daily and some layers being updated as frequently as every few minutes. Nothing demonstrates this better than our growing collection of Live Feeds. 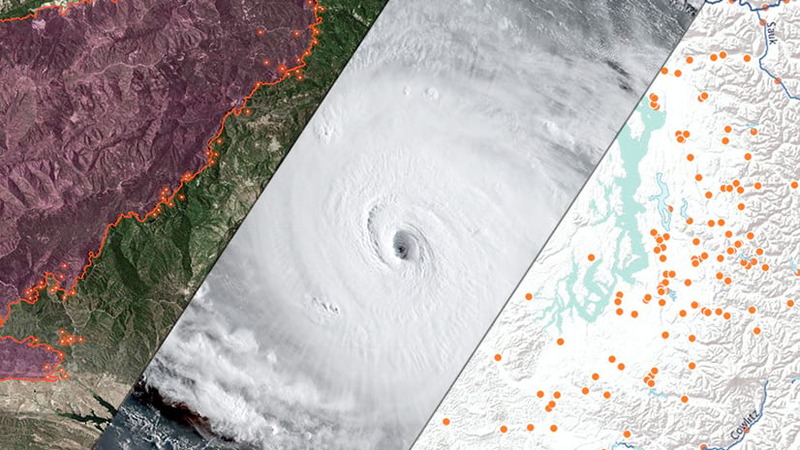 These live feed services were particularly active this year because of the high level of hurricane activity and wildfire activity in the United States during this year’s seasons. Over the past year, the Living Atlas website was updated to improve the user experience for browsing and searching content. New content categories were introduced, such as Trending, to make it easier to discover relevant content. Improvements were also made to make it easier to contribute your work to the Living Atlas. Based largely on the work of our user community, the Living Atlas was recently identified as one of the Top Planning Websites – 2018 by Planetizen. Esri Maps for Public Policy: a new site designed to show the power of spatial tools in developing and communicating public policy, and discover curated content to support policy research and recommendations. This represents just a partial list of the additions and updates to the Living Atlas in 2018. 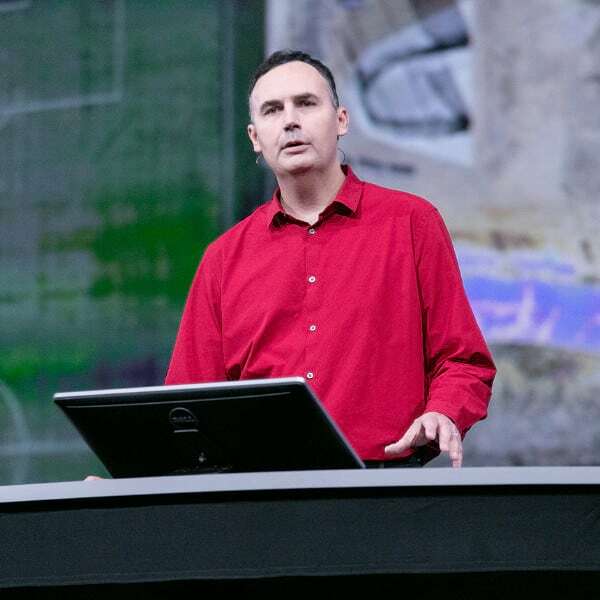 There were also hundreds of maps and apps added and updated by Esri International Distributors and ArcGIS users around the world, but that is a subject for another blog article. We thank all the contributors to the Living Atlas in 2018 and look forward to seeing and sharing what you create in 2019!